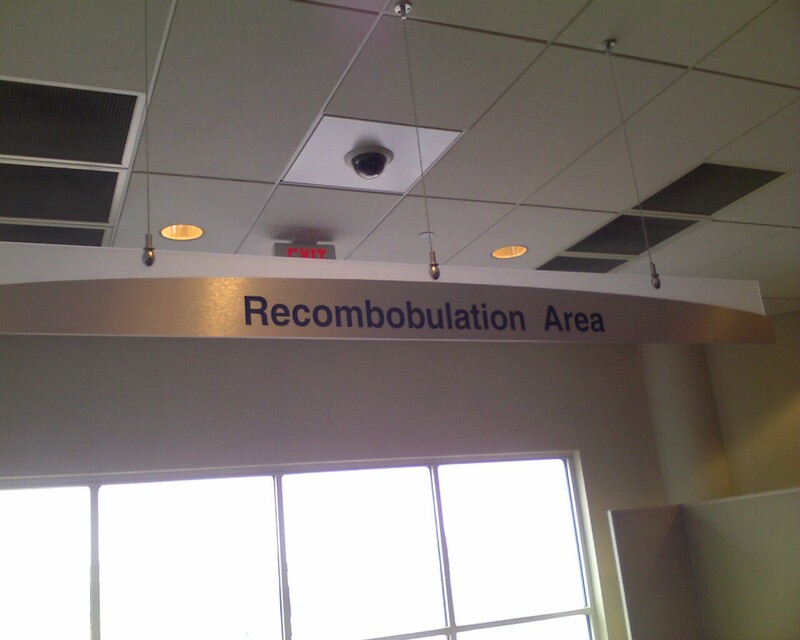 You know how when you go through airport security you wind up all discombobulated? Pants falling off, shoeless, coatless, etc.? Well, at the end of the line, the Milwaukee airport has this wonderful sign. Below the sign is a nice, big, comfy spot to pull yourself together again, catch your breath, straighten up, and fly right. Don't forget to wave at the nice camera!